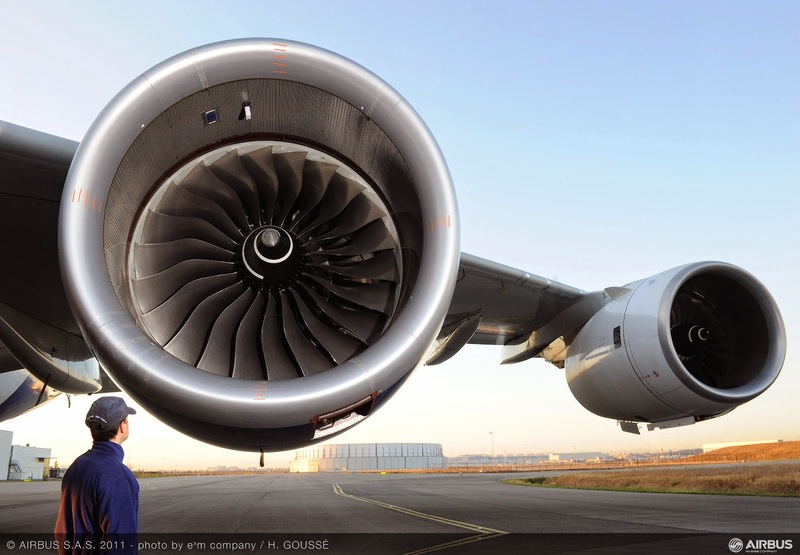 A350´s Trent XWB engine is “very, very close to where need to be” in terms of performance. 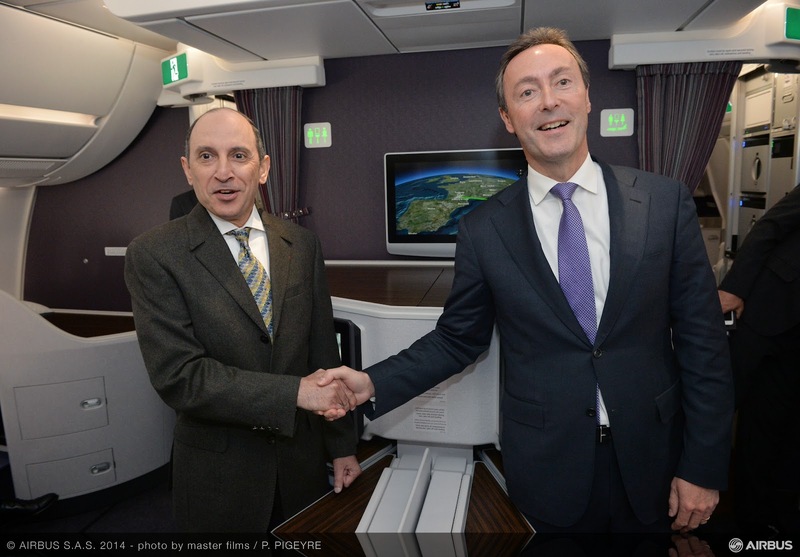 Rolls-Royce is not only “another” risk sharing partner in the A350 program. It is the main partner of Airbus as unique engine supplier. 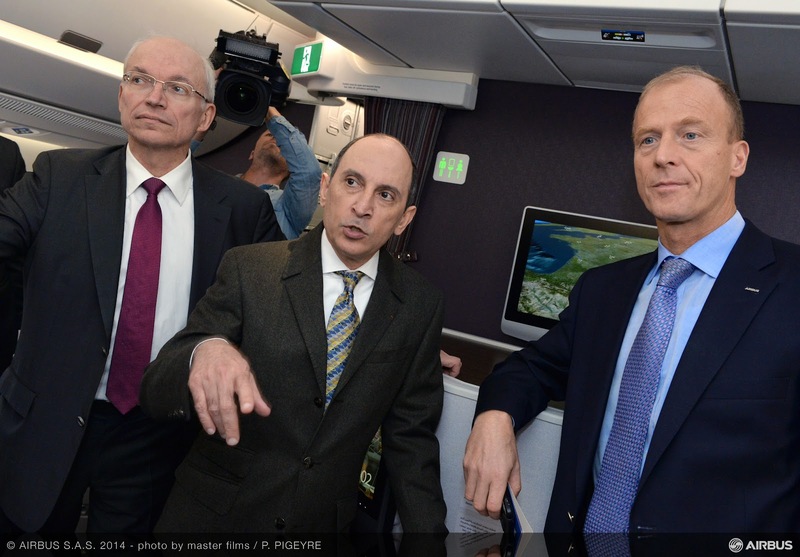 Eric Schulz, President – Civil Large Engines at Rolls-Royce and Rolls Royce CEO was sharing table with Airbus President and CEO Fabrice Brégier and Qatar Airways Group CEO Akbar Al Baker last 22/Dec during the 1st Delivery ceremony. 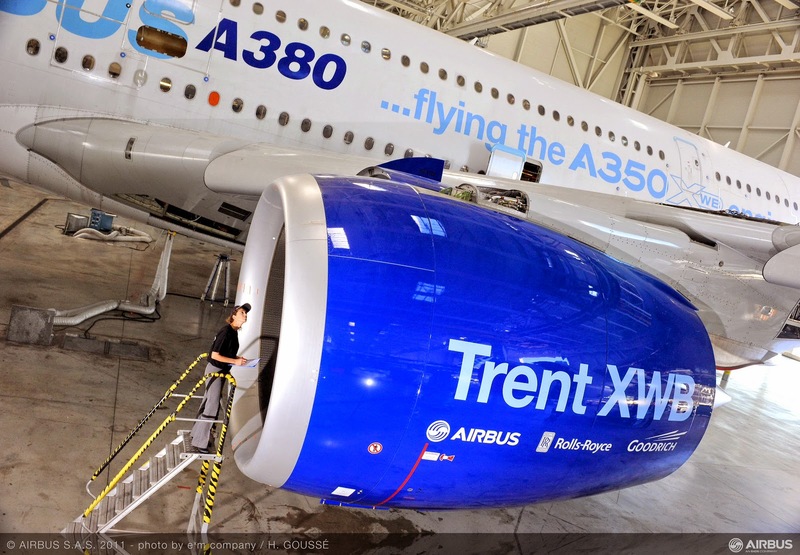 To make sure there are no hitches, the Trent XWB engine has been through almost 11.000 hours of testing in the air and on the ground. 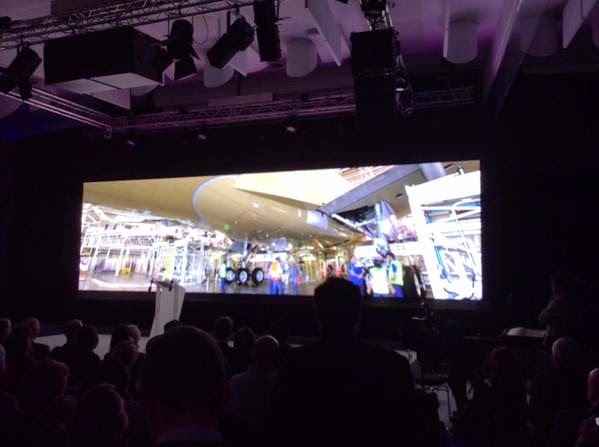 “By far we spent the most hours testing on this,” said Tony Wood, head of Rolls-Royce’s aerospace division. Rolls-Royce is preparing for the aggressive ramp-up as Airbus is planning to go from making 2 aircraft currently to close to 10 by the end of 2018. And there is already talk of potentially increasing to as many as 15 further out. 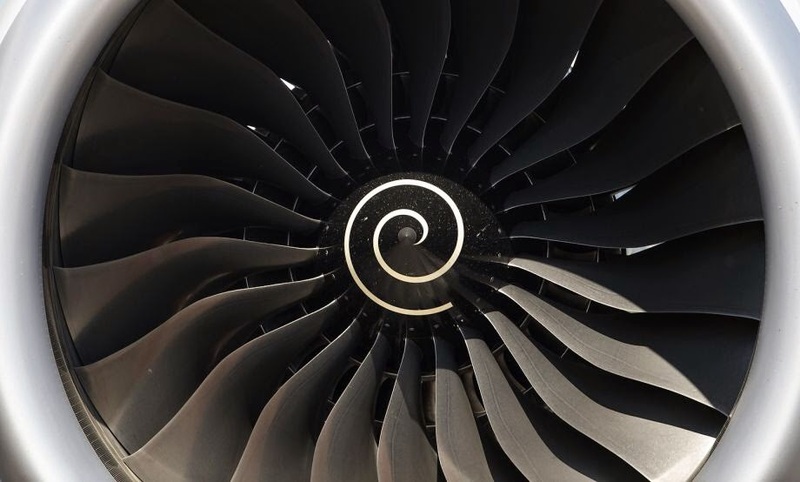 This is an enormous industrial challenge, including at Rolls-Royce, as it struggles to make its civil aerospace business more efficient by cutting costs. Airbus and Rolls-Royce also have to be sure their suppliers are up to the job. Ironically, it is not the biggest who pose the greatest risk, but the smaller suppliers. “They will have to be watched closely,” says one industry executive. Based on the article “Airbus A350 readies for take-off” published in Financial Times. 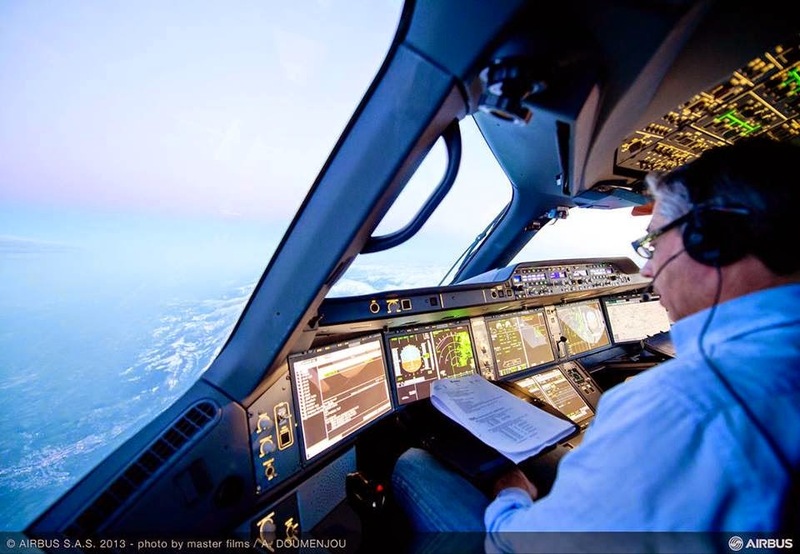 A350 “learning by discovery” pilot & engineer training system. 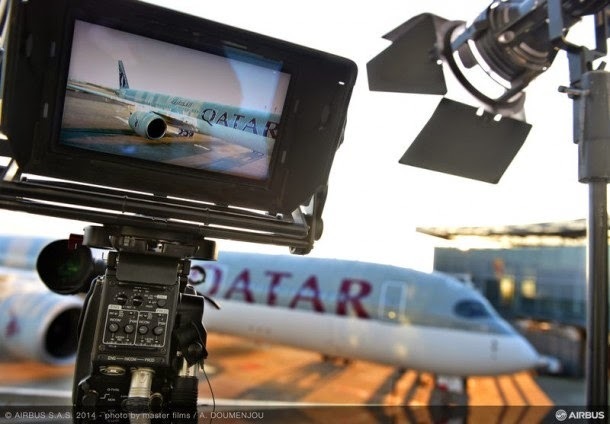 Airbus Training will see its revolutionary “learning by discovery” pilot and engineer type-rating training system put to the test for the first time next month as Airbus A350 launch customer Qatar Airways prepares to put its aircraft into service. Director of A350 flight operations and training support for Airbus, Christian Norden, said customer feedback from all the early A350 buyers had so far been unanimously enthusiastic, as had the reaction of the national aviation authorities. Meanwhile the EASA and the US FAA have accepted the A350 as a variant of the A330 series, thus according it a common type rating. 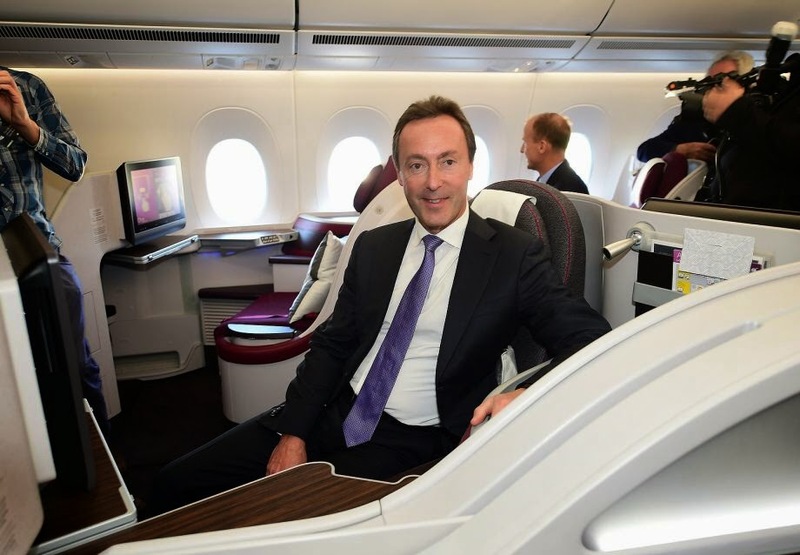 Norden said Airbus had noticed major changes in what airlines look for when introducing a new aircraft into service. “The days of rewriting manuals are gone – even for the legacy carriers,” he said. The “learning by discovery” concept puts pilots into the A350 full flight simulator to experiment with the full range of aircraft manual handling characteristics far earlier in the type rating course than is traditionally the case. 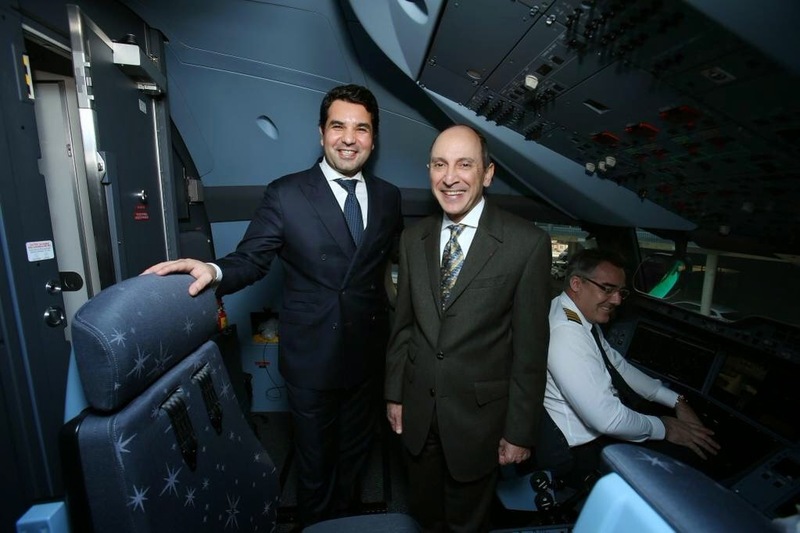 Airbus has also introduced new training tools that extend that philosophy. 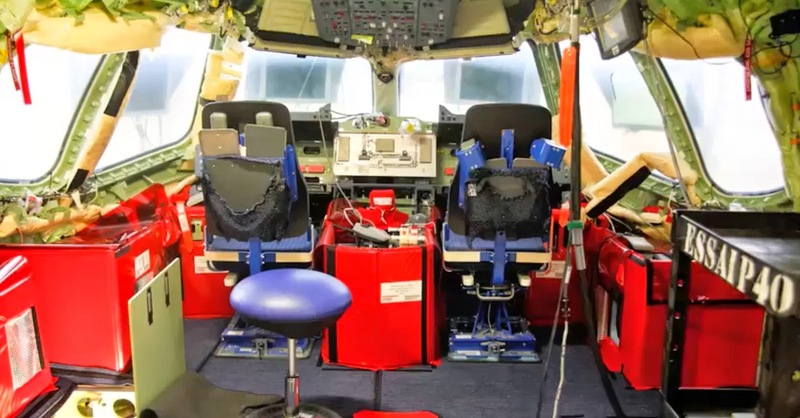 One of them, a laptop-based programme called ACE (Airbus Cockpit Experience), replaces traditional computer-based learning. 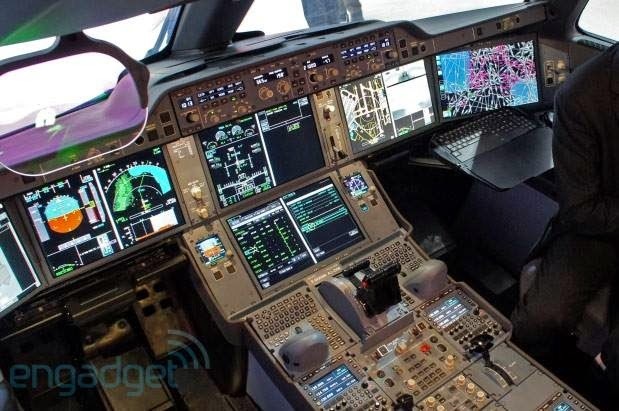 It introduces pilots to the flightdeck and its systems via a virtual display that allows them to scan 360° around the instrument and control panels, push buttons with mouse-clicks, and see the results. 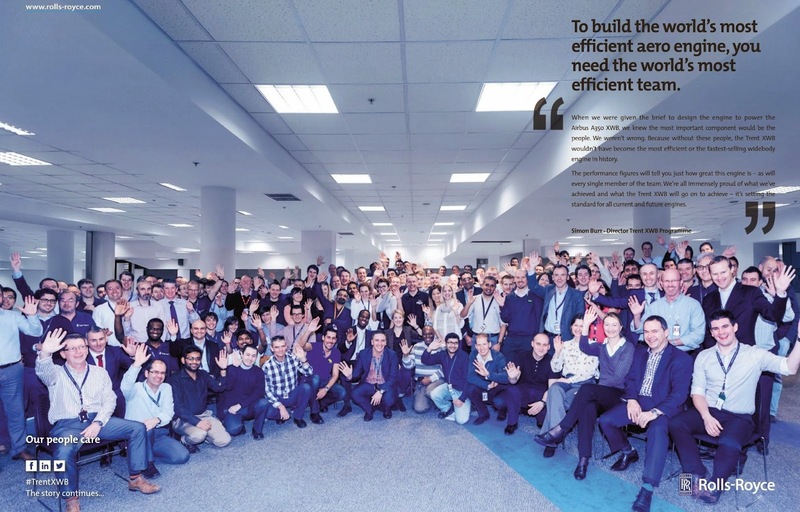 Based on the article “A350 training wins industry approval” published in Flight Global. A350-1000 is the competitor for current 777. 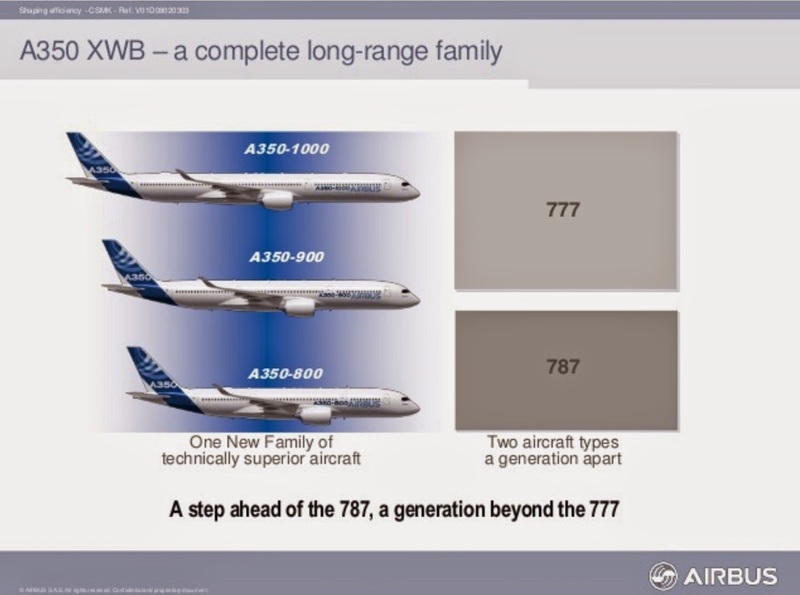 But neither A350-1000 nor A350-1100 are able to compete against 777-9X. A first comparison between A350-1000 and 777X concluded that when the Airbus A350-1000 will enter service in 2017 it will probably be the most efficient aircraft in the skies. 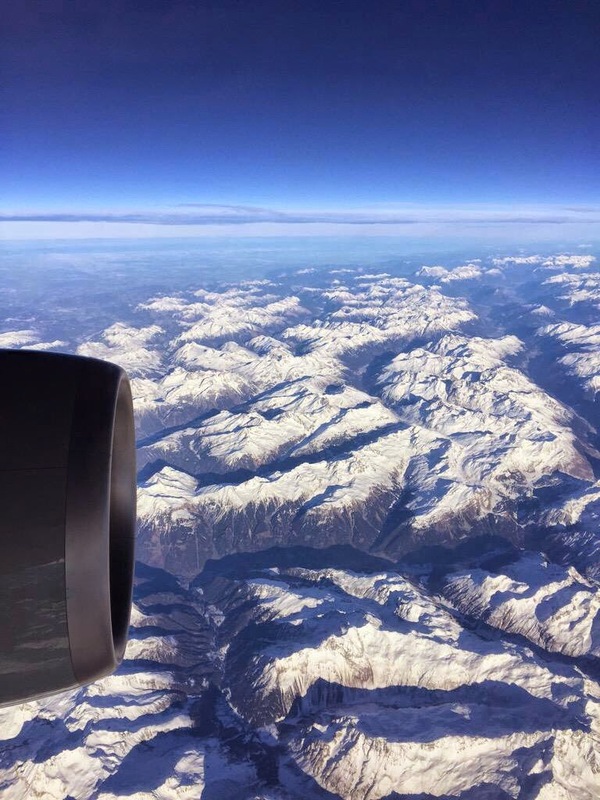 Boeing's reply to the Airbus A350-1000 came in the form of the Boeing 777X –that is the better and more efficient aircraft- and Airbus does not seem to have an answer to that. In order to compete with the Boeing 777X, Airbus might decide to launch the A350-1100, a stretch of the Airbus A350-1000. But based on payload and range data, it is stated that this A350-1100 will not be able to efficiently compete with 777X. Airlines will favour 777-9X over Airbus A350-1000. 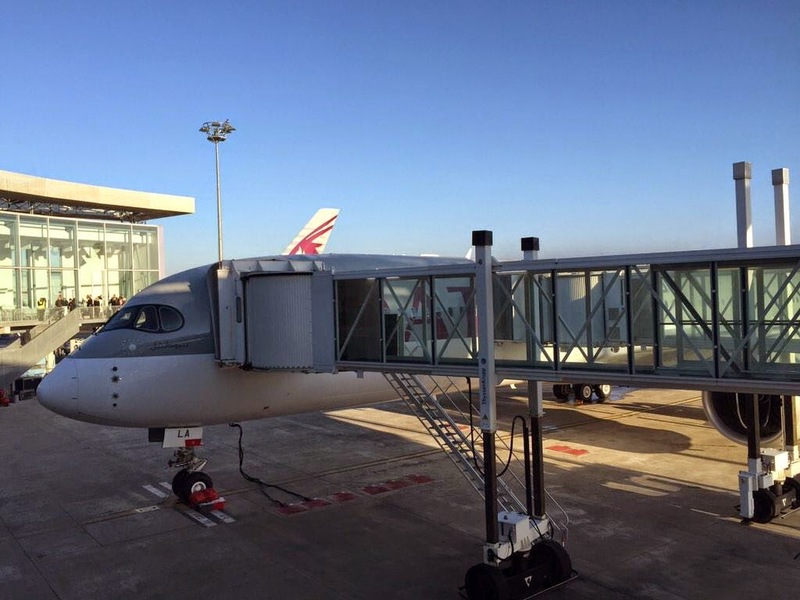 What a stretch of the Airbus A350-1000 means is higher capacity, lower range and added structural weight. 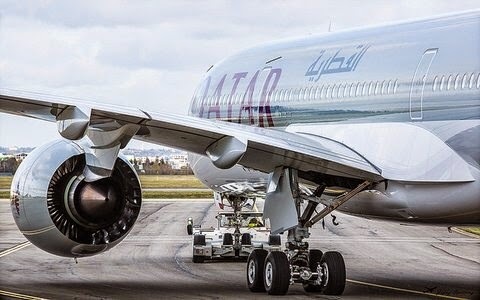 The addition of structural weight (for the added frames and sizing needed for the wings) as well as increase in payload will considerably decrease the range of a possible Airbus A350-1100. So a stretched version only is able to compete with the Boeing 777-9X in terms of capacity, but will lack the range capability of the Boeing 777-9X. 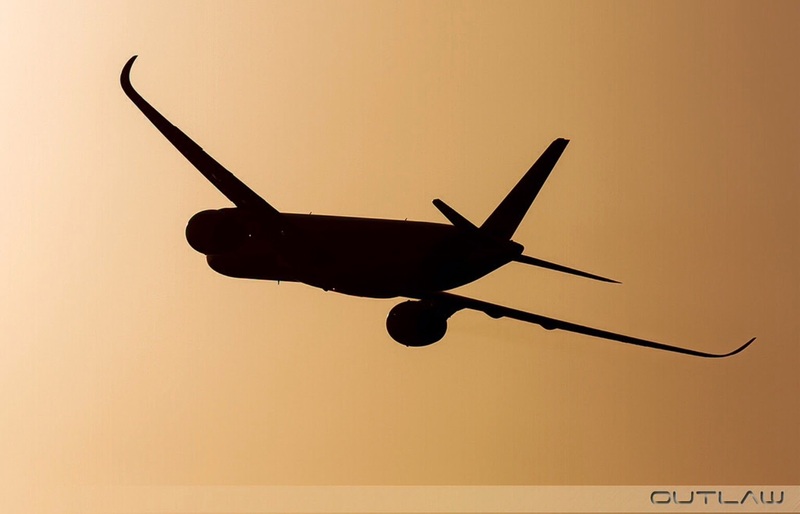 To place a significantly more efficient engine on the Airbus A350 to increase the range could be a possibility. Order numbers also show that the Boeing 777X is favored over the Airbus A350-1000; few airlines are buying the Boeing 777-8X (43 orders) that will be the ultra-long range leader, but airlines are favoring the Boeing 777-9X (243 orders) that has higher capacity over the Airbus A350-1000 (169 orders). 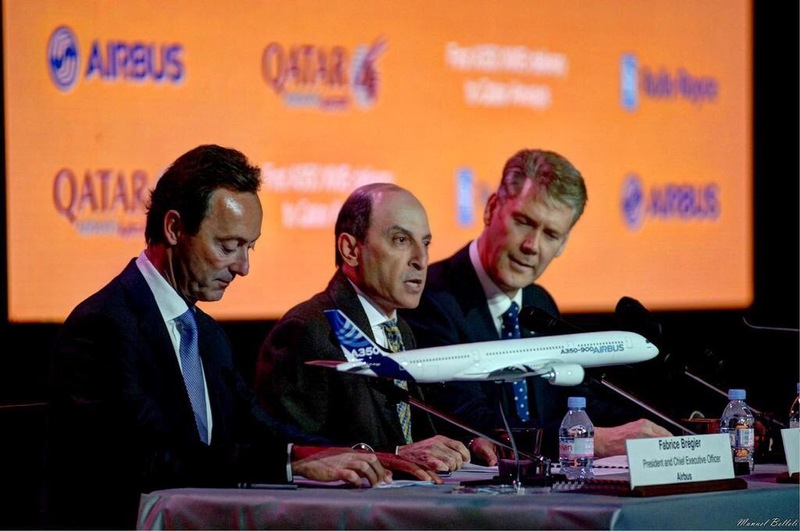 The Airbus A350-1000 has not received any orders in a year now. And since the launch of the Boeing 777X, Airbus only received 3 orders for the Airbus A350-1000. A350 difficult start in December/2006. 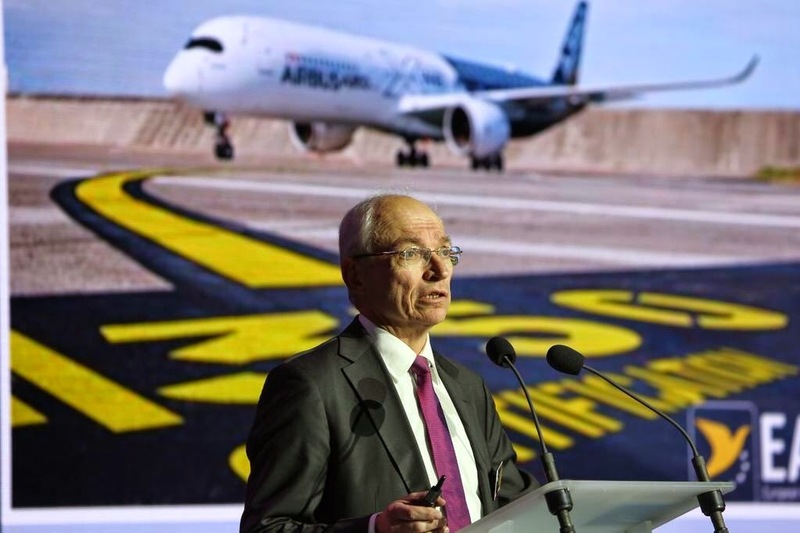 In an interview in Les Echos, President and CEO of Airbus Fabrice Brégier said that the start of the Program in December/2006 was difficult. "Our resources were still mobilized en masse on the A380, the French & German teams were not coordinated, tools were not harmonized and preliminary tests on composite fuselage panels were not even completed." It is also during this phase that we have been delayed on the initial planning (around 1 year delay). But we did it wisely. Because one of the greatest lessons-learned from the past was to avoid jeopardizing the first years of development. Otherwise, we might pay it dearly during the industrialization phase. We therefore preferred a little slip in the master schedule on the early stages of development to acquire more maturity, which allowed us to avoid delays during the past two years. 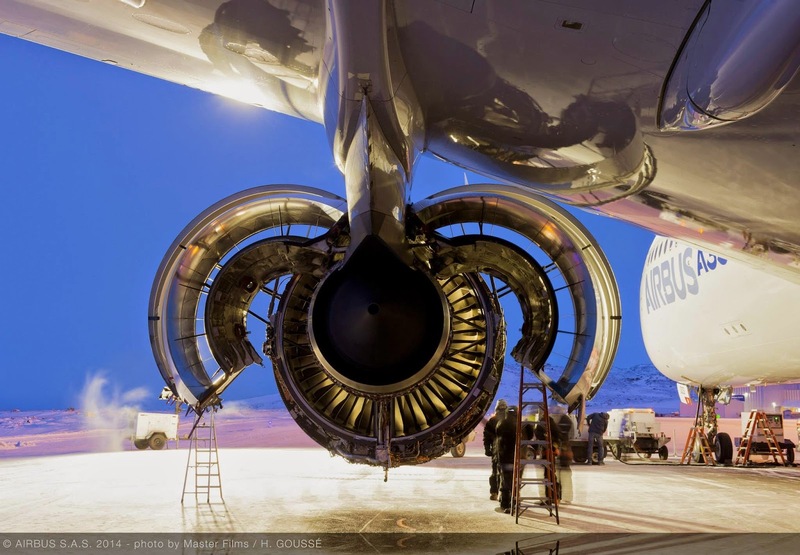 Rolls-Royce begins assembly of 1st A350-1000 engine in the A380 Flying Testbed. 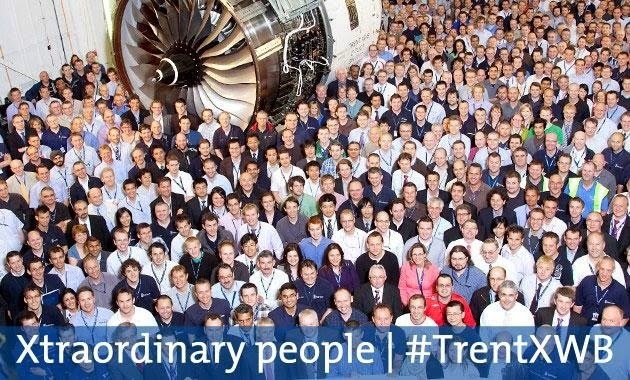 Rolls-Royce is accelerating the manufacturing work on the initial test batch of the Trent XWB-97 variant for the A350-1000 in parallel to the production ramp-up of the Trent XWB-84 engine for A350-900. The XWB-97 is the highest thrust production engine ever developed by Rolls-Royce, and made its first ground test run in mid-July. 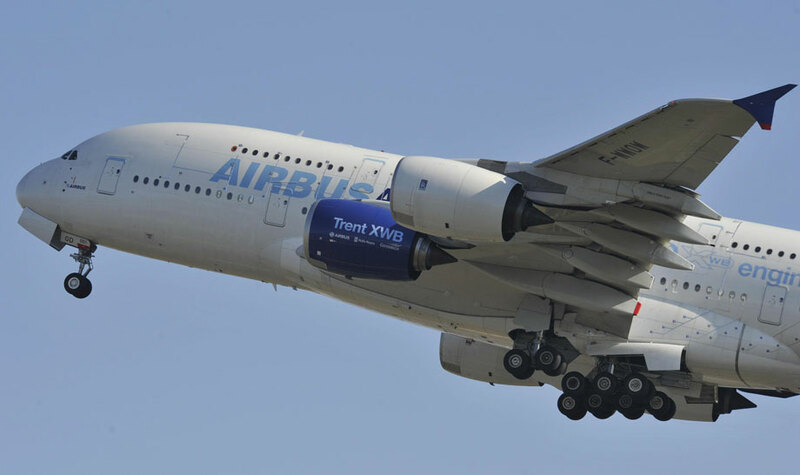 Rolls-Royce has also begun the assembly of the 1st engine destined to fly on the Airbus A380 flying testbed today 26/Dec, and expects the unit to become airborne early in the 3Q/2015. 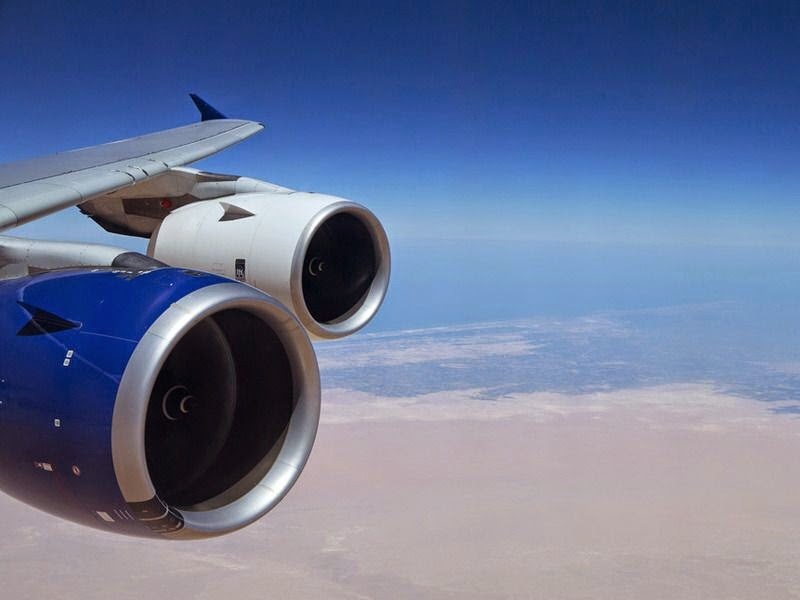 The first 8 flight-engines, and possibly more than that, will run through a pre-production line specially established to iron out any initial manufacturing and assembly issues without interrupting the flow of XWB-84 engines. 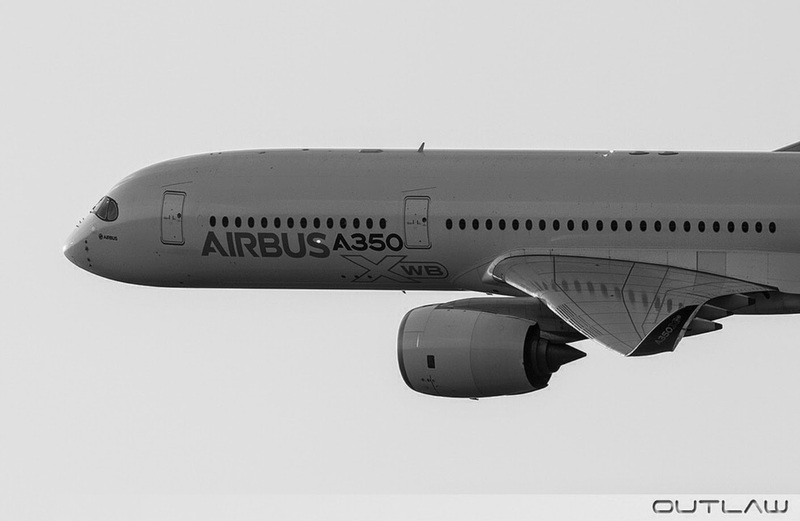 The flight test engines will be delivered later in 2015 in the build-up to first flight of the A350-1000 in 2016. Externally identical to the 84,000 lb. thrust XWB-84, the XWB-97 is designed to power the 679,000 lb. 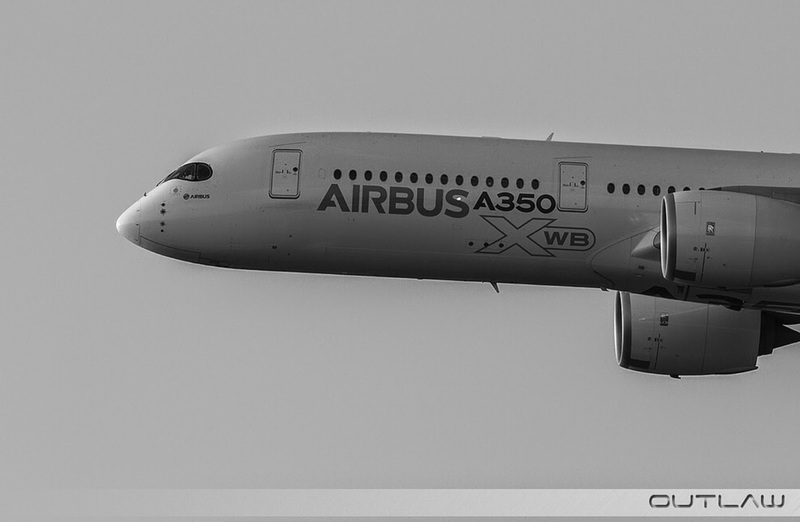 maximum take-off weight A350-1000 on ranges up to 8,400 naut. mi. This will have to be achieved with the same efficiency of the baseline engine, using the same 118 in. diameter fan and external nacelle packaging. “The next engine will be fully instrumented,” says Burr. Additional engines will be used for type testing, icing, cross wind and water ingestion work. Although building on the XWB-84 foundation, the coming tests will focus initially on the newer design aspects of the XWB-97, specifically the higher flow fan which turns 6% faster than the -84 and pumps more air. The XWB-97 is also designed with a 5% larger core and higher temperature capability as well as unshrouded high pressure turbine blades. Based on the article “Rolls-Royce Begins Building First A350-1000 Flying Testbed Engine” published in Aviation Week. 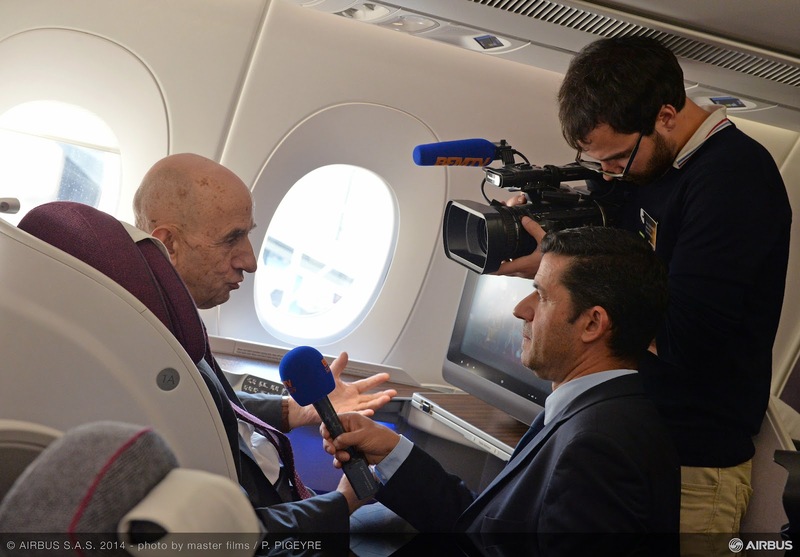 When in an interview in Les Echos, President and CEO of Airbus Fabrice Brégier is asked about the historical mean of the A350 delivery to Qatar Airways, he emphasizes that the A350 is the 6th aircraft designed by Airbus in 45 years of history. 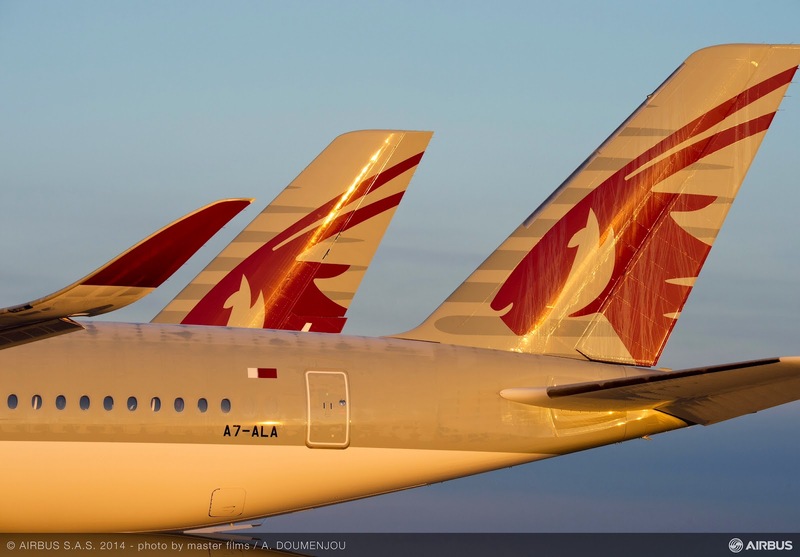 The last clean-sheet new aircraft delivered was the A380 in 2007 and before there were the A300, A320, A340 and A330. Other models are and will be derivatives. And the future? 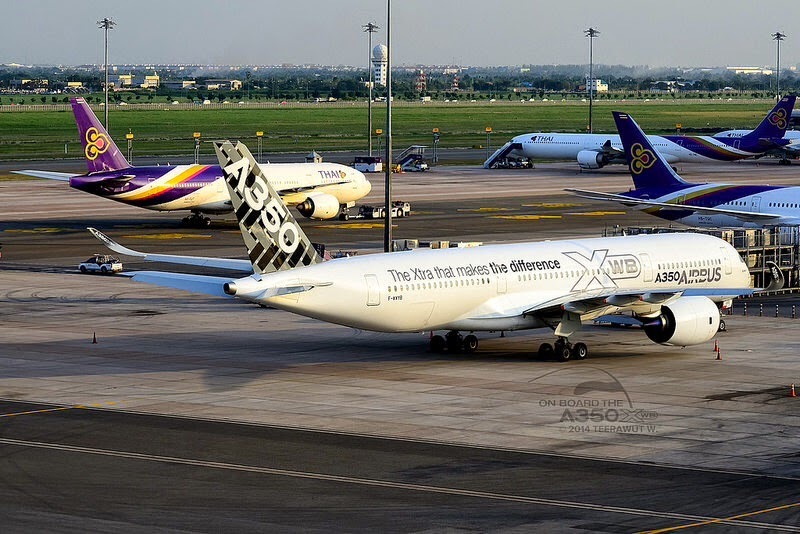 The A350 XWB is the last new jet from Airbus or Boeing until at least next decade. Mr. Bregier points out the satisfaction of having overall well-controlled a very complex development, without delay on the last 2 years. "In the opinion of the experts, the A350 is the program with the better development performance of the history of aeronautics. This is the result of a huge mobilization, the Head of Program Didier Evrard, his Chief Engineer Gordon McConnell but also thousands of engineers and highly motivated team to meet this challenge, which we can all be very proud!" 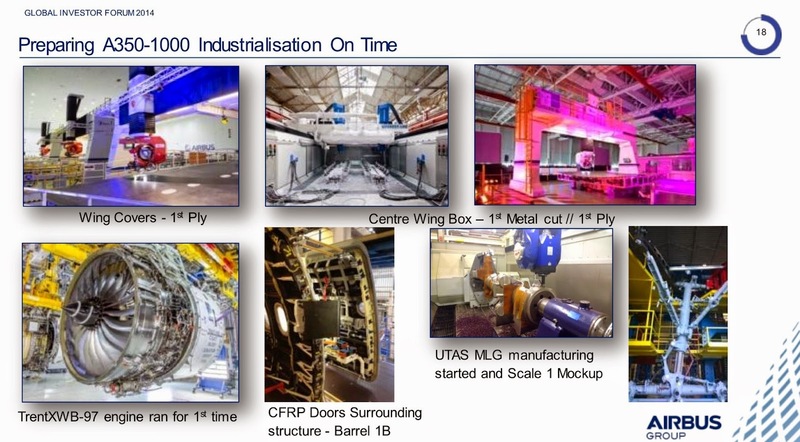 A350-1000 development on track. Large-component manufacturing started. 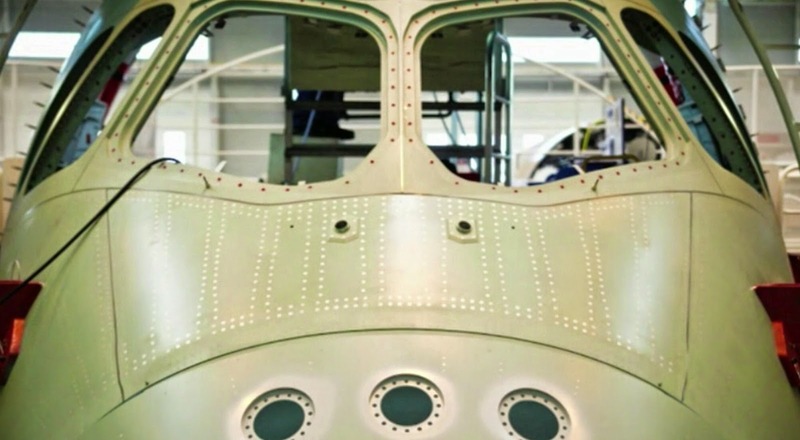 Development of the larger A350-1000 is “more than halfway through”, A350 program manager Didier Evrard said, with the first aircraft due to enter final assembly at the beginning of 2016. Several major components for the jet are already being manufactured, including wing covers, the centre wing-box, the main landing-gear and carbon-fibre components for the doors. 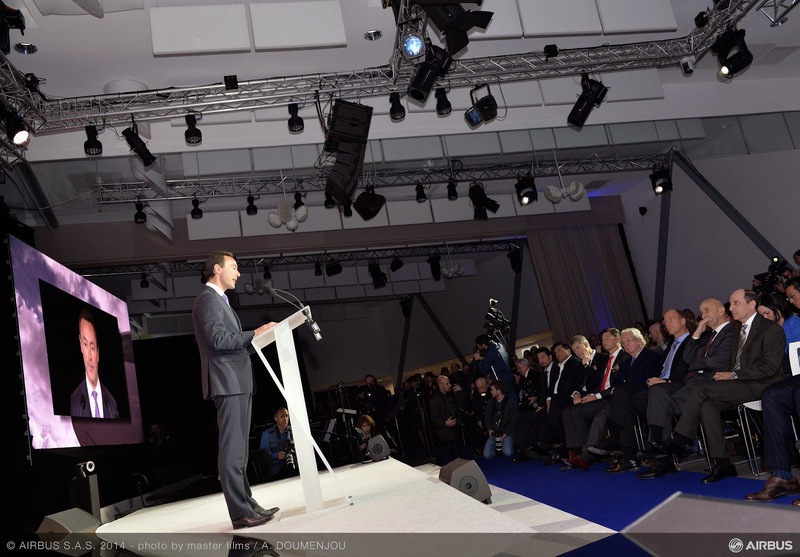 In 2nd half of 2015 the subassembly of large work-packages will progress in order to start the final assembly in Toulouse in 1Q/2016 with the first flight scheduled after the summer in 2016. 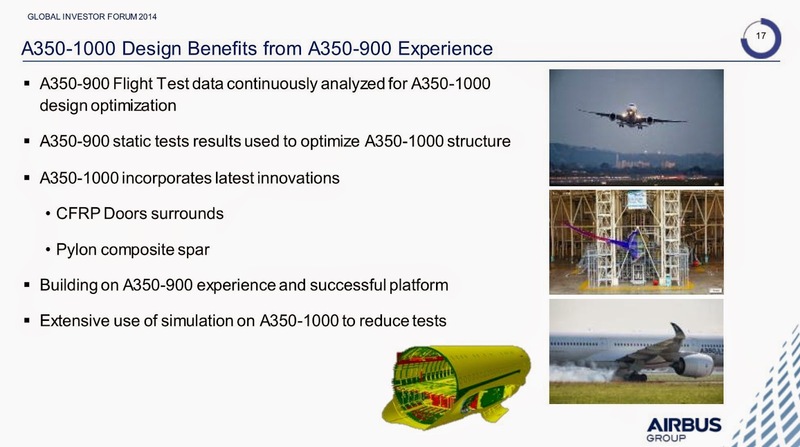 “This aircraft benefits a lot from the -900,” says Evrard, adding that Airbus has been able to implement a “right-first-time” approach for the -1000. 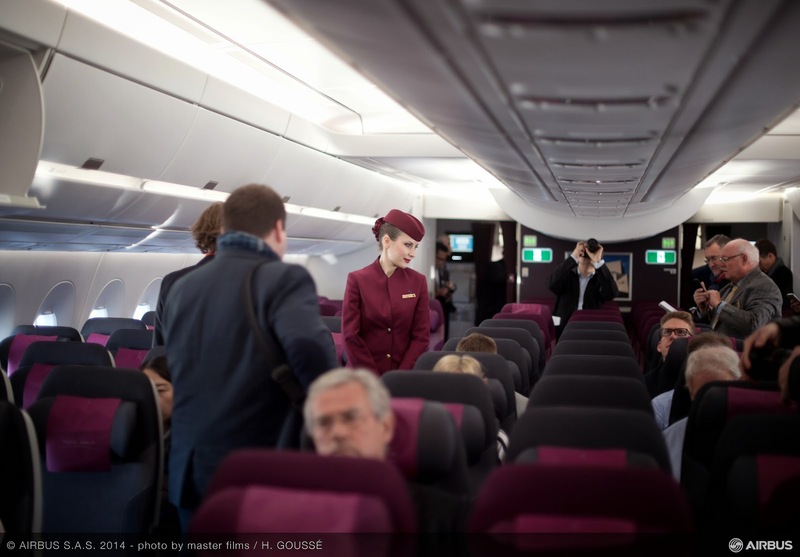 Based on the article “Twelve customer A350s in final assembly” published in Flight Global. 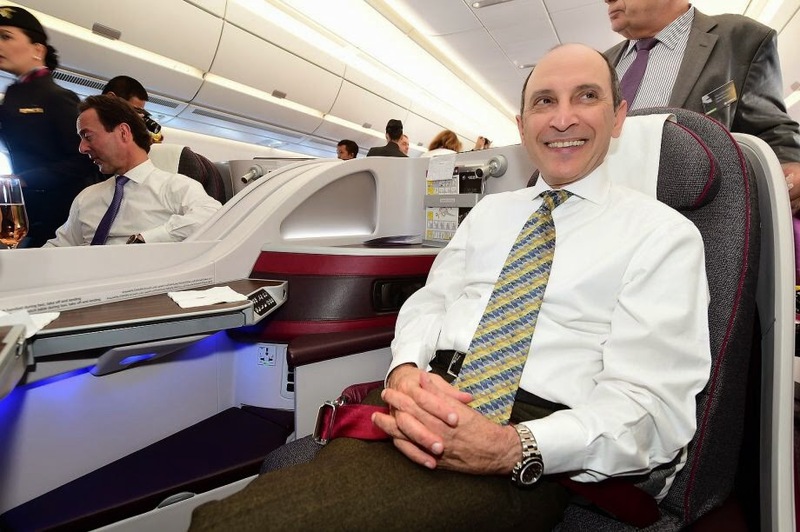 1st A350 transfer flight home, Doha. 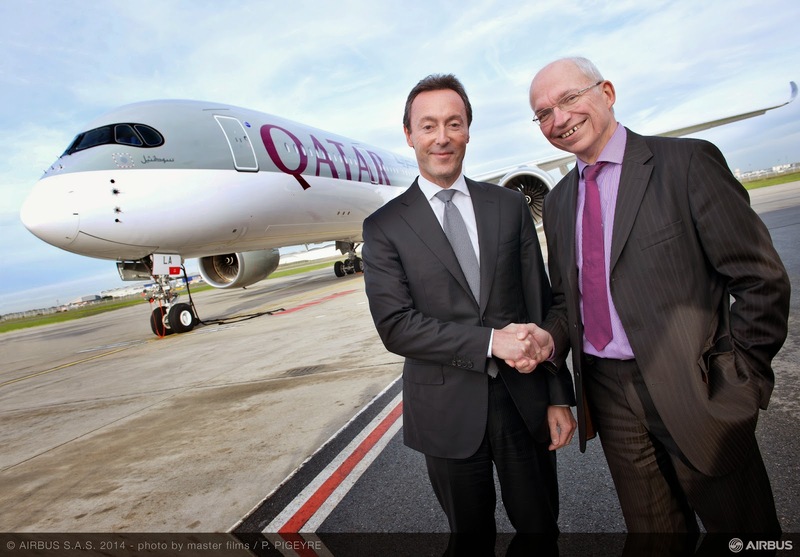 Qatar Airways' first A350 XWB (A7-ALA) has departed today from Toulouse (France) on it's delivery flight to Doha, Qatar. But she was not alone. The 4th A380 of Qatar Airways (A7-APD) is also making it's first journey home. 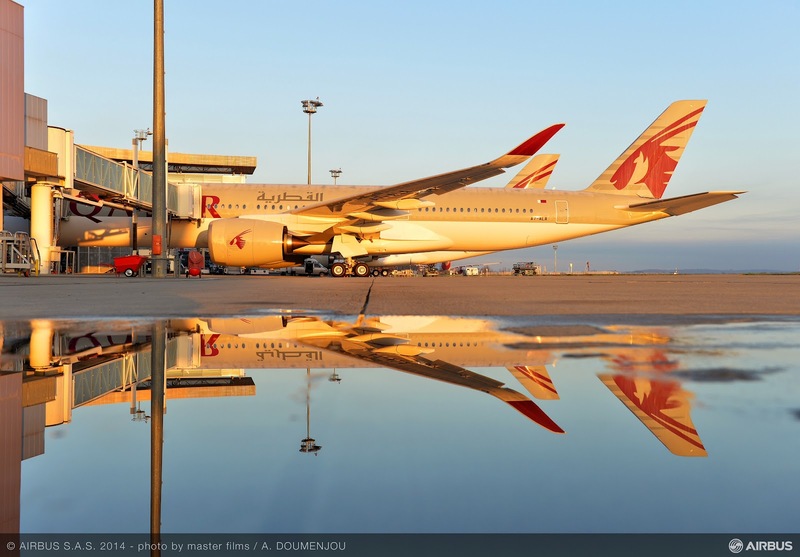 With the delivery of this A350, the airline becomes the first carrier in the world to operate every family of Airbus’ modern airliner portfolio, comprising the A320, A330/A340, A350 and A380. 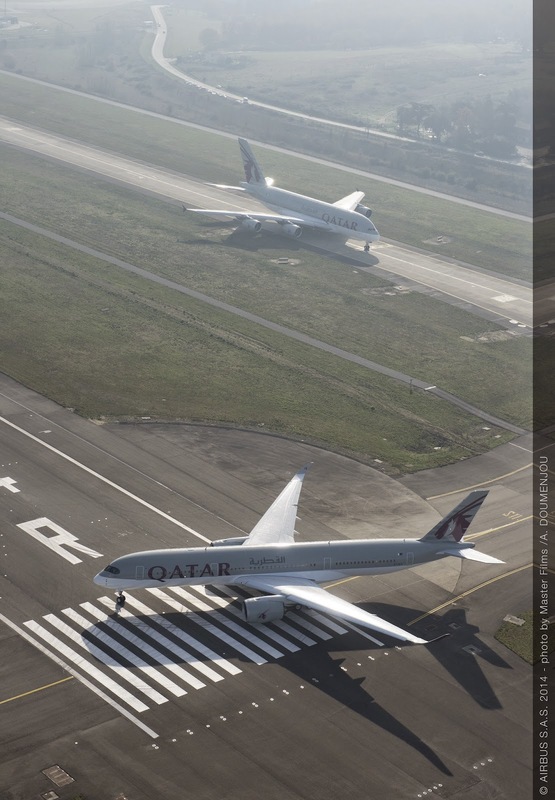 Based on the press release "Qatar Airways’ 1st A350 accompanies its 4th A380 for delivery to Qatar". 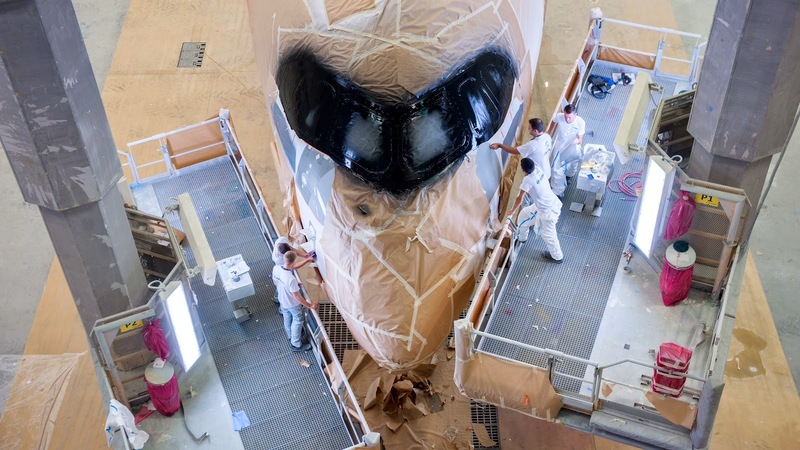 Click on the picture to watch the assembly process of the MSN6 aircraft. Hard work until A350 first delivery. 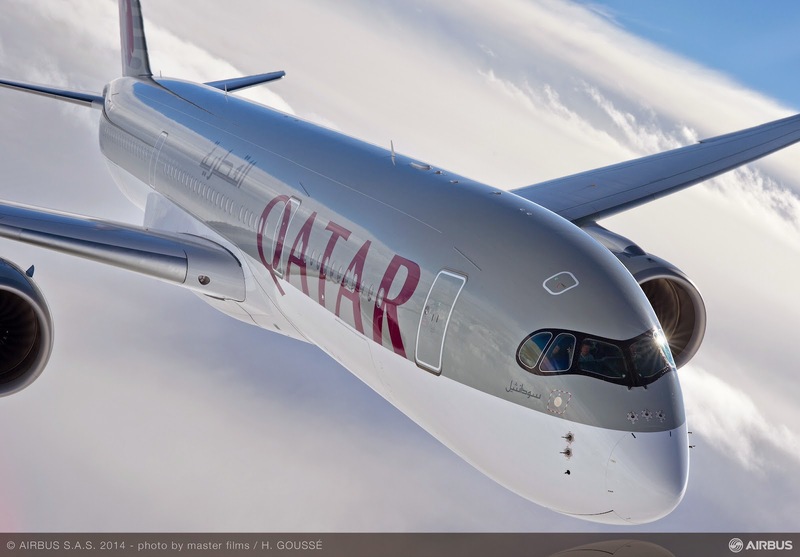 Qatar Airways has ordered 80 of the world’s most advanced airliners and the on-time, on-quality delivery is the culmination of 8 years’ hard work from everyone involved in the A350 XWB program. 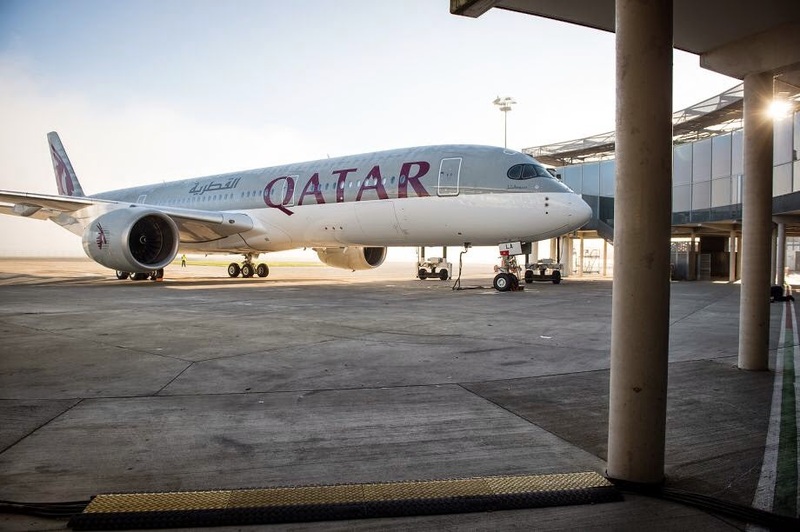 Based on the press release “Opening a new chapter in aviation, first delivery of A350 XWB to Qatar Airways”, based on the press release “Airbus delivers first ever A350 XWB to Qatar Airways” and based on the article “Qatar Airways Takes Delivery Of First Airbus A350” published in Aviation Week. Customer satisfaction means giving the airlines that operate Airbus aircraft exactly what they want. 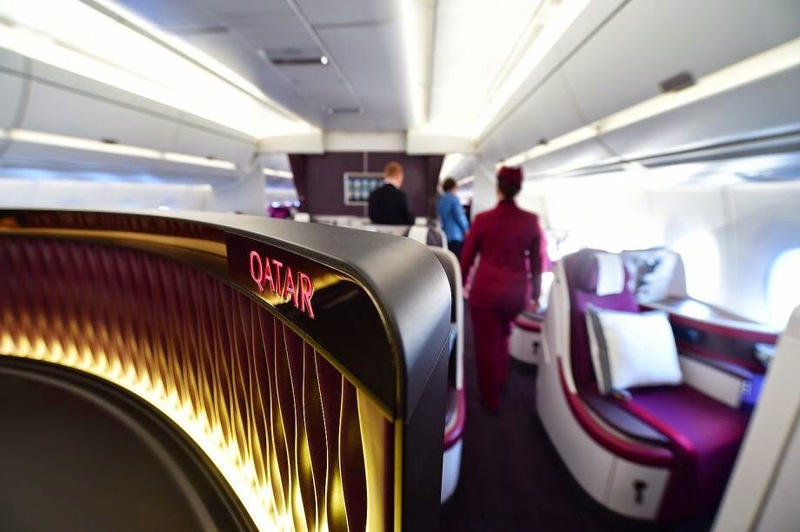 This was achieved on 22/December when A350 XWB MSN006 was delivered to launch customer Qatar Airways, widely recognized for insisting on the highest possible standards for its passengers. 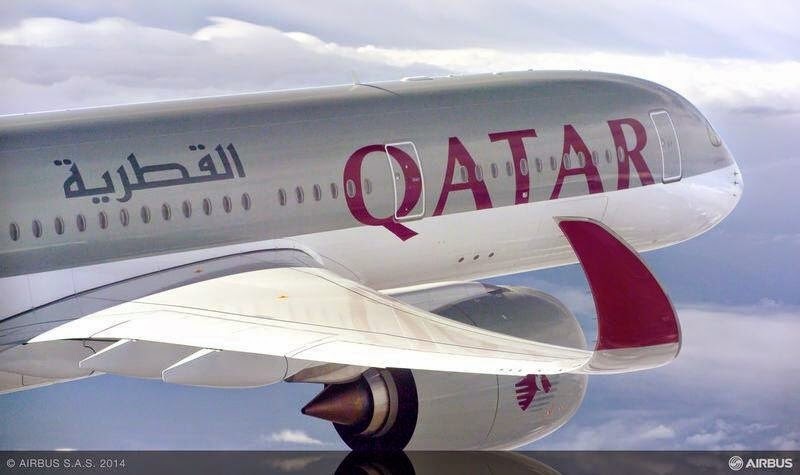 The A350 XWB fits seamlessly alongside Qatar Airways’ growing fleet of A380s and A330s, making the carrier the world’s first airline to operate each member of Airbus’ market leading Widebody Family. 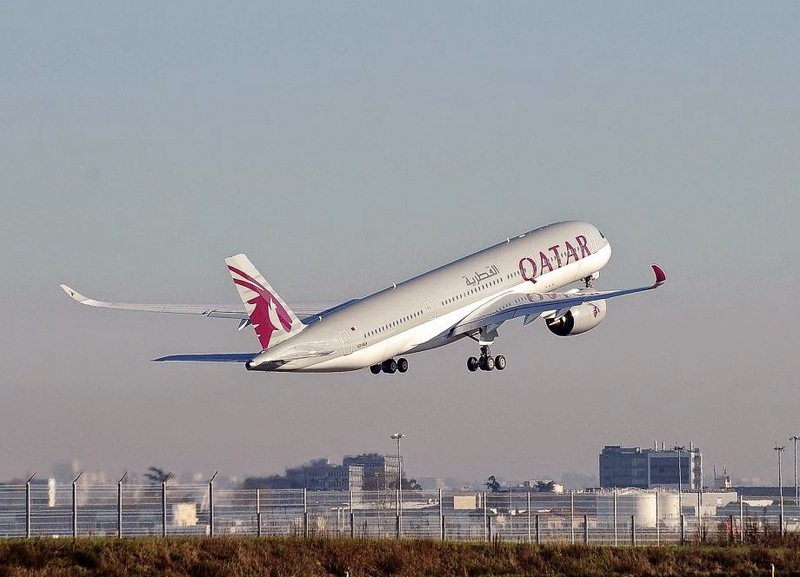 Qatar Airways’ A350 XWBs, in combination with their A380s and A330s, will offer unprecedented levels of interoperability and comfort on the rapidly expanding Qatar Airways network of excellence. 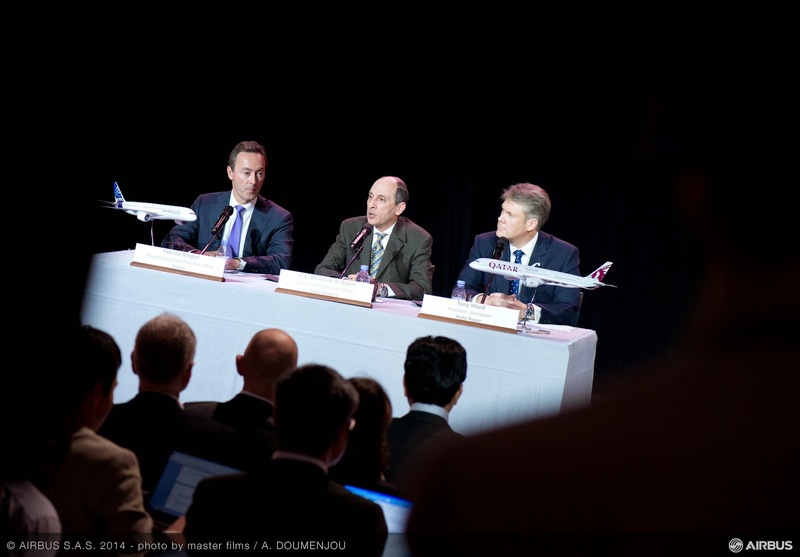 This ceremony in Toulouse has followed the resolution of a few unspecified issues that had nothing to do with Airbus. The aircraft, MSN006, was initially planned to be delivered more than a week earlier, but that event had been called off at short notice. 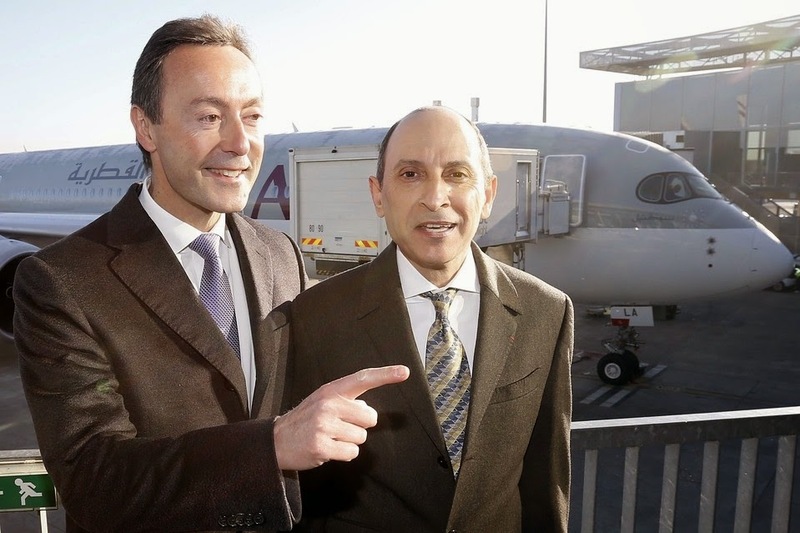 Qatar Airways CEO Akbar Al Baker said the delay had “nothing to do with Airbus,” but was rather linked to unspecified buyer-furnished equipment issues. 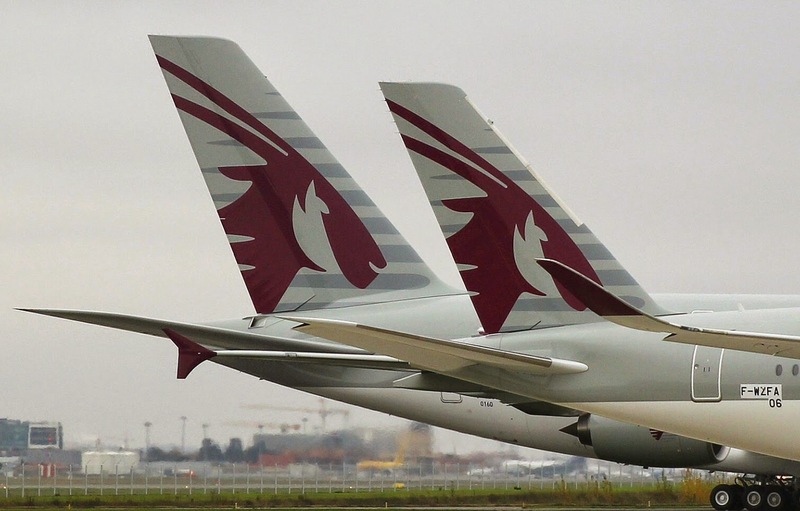 According to industry sources, several more test flights were required to satisfy Qatar’s demands. 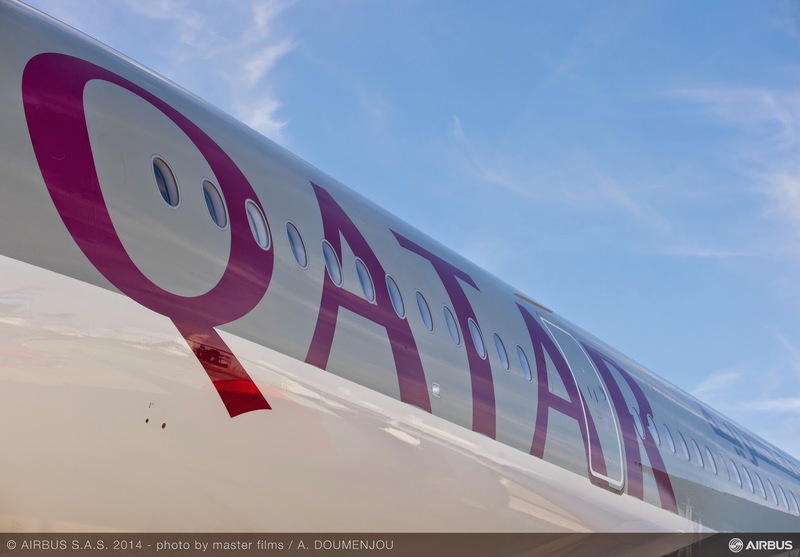 Qatar Airways was going to take delivery of the aircraft on 13/Dec, but that event was canceled at the last minute. “You are a tough customer, my friend Akbar, a demanding customer, sometimes a little bit too demanding,” Bregier said. 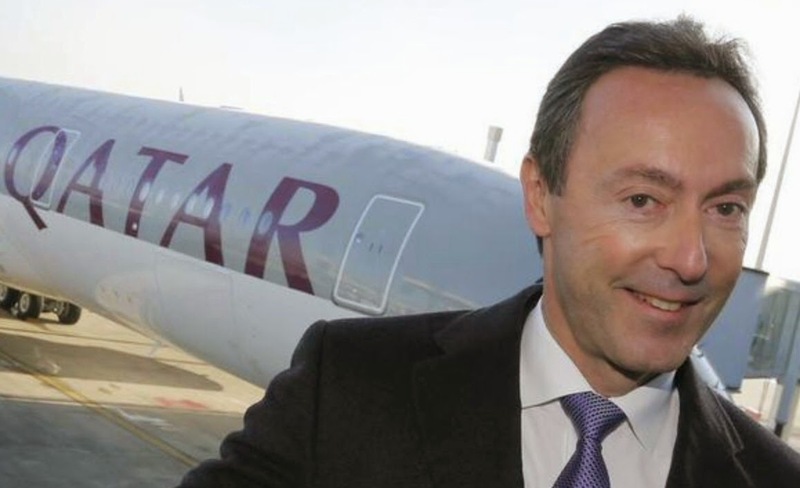 But he also hinted that the efforts to satisfy Qatar Airways have made the aircraft better. 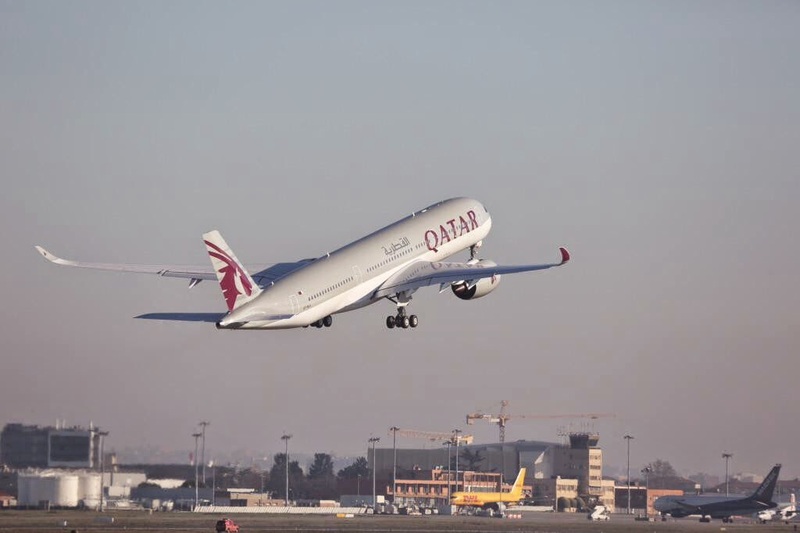 The first aircraft is slated to be ferried to Doha on 23/Dec. 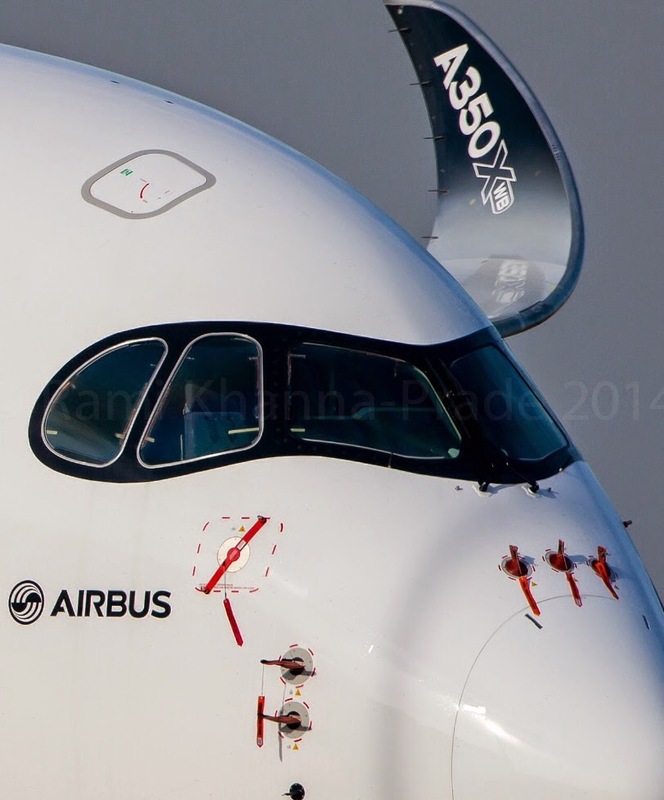 A350 ready to fly from the nest. 3 aircraft/month production rate at A350 FAL. First A350 Rudder assembled in China. 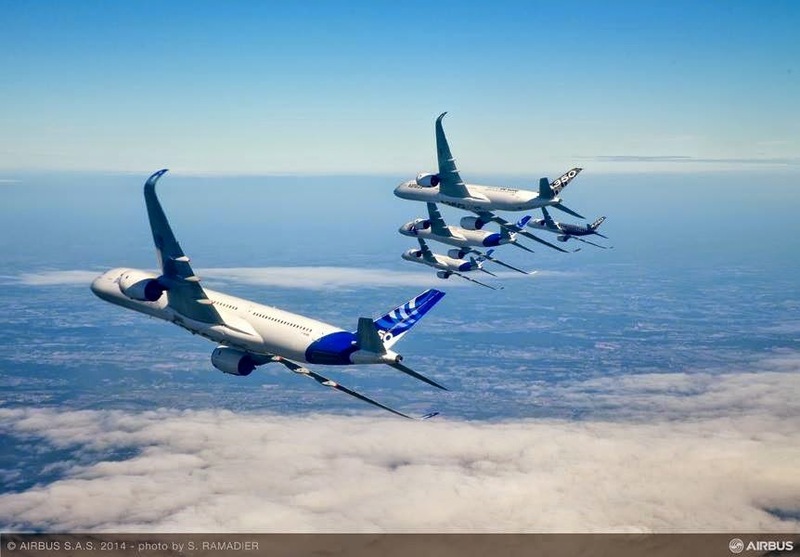 A350 Formation flight of 5 prototypes. Backstage.